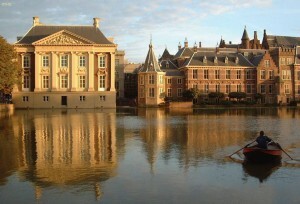 THE HAGUE--The elections results in Curaçao, with the PAR emerging as the biggest party, were well-received by political The Hague. Satisfaction was expressed that the MFK party of Gerrit Schotte didn’t win, but at the same time the fact that this party went from four to five seats should be considered a signal that the new Curaçao Government will have to take into account. Members of the Second Chamber of the Dutch Parliament responded similarly. “It is a good result. I am disappointed that the party of Schotte won another seat, but in total the Group of Twelve has lost a lot of votes,” said André Bosman of the liberal democratic VVD party. He concluded that the high turn-out signalled that many residents wanted a different government. Bosman suggested that the elections results even diminished the need for a new Commonwealth structure within the Kingdom. “The Commonwealth proposal is not off the table yet, but the focus is now on achieving good governance,” he said. However, Bosman remained a bit sceptical about Schotte and the MFK. “The danger has not passed entirely. As long as Schotte is a free man, he and mafia will try again, just like last time when there was a clean government,” he said. Like Bosman, Van Raak was disappointed that a large number of Curaçao voters still chose the MFK. Still he was happy that the serious parties together formed the majority. “It is a hopeful sign, but the problems have not been solved. These elections have prevented even larger problems. Now it is time to solve the issues and I think the Netherlands should be willing to lend a helping hand,” he said. Antje Diertens of the Democratic Party D66 said that she too was “very happy” with the elections result. “I hope that a new government can be formed within short and that we can work on improving the relations,” she stated on Twitter. Poverty is one of the issues that needs to be tackled, Diertens said.